India begins voting on Thursday for its 17th Prime Minister. This will be the largest election the world has seen, with 900 million people eligible — larger than the population of Europe and Australia combined. The massive electoral exercise will be conducted in seven phases from April 11 to May 19 at 1 million polling stations. Votes will be counted on 23 May and results will be declared on the same day. India’s lower house, the Lok Sabha, has 543 elected seats. The Bharatiya Janata Party, led by Prime Minister Narendra Modi, currently holds close to a majority in the Lok Sabha, governing as part of the National Democratic Alliance coalition. The NDA is battling its main opposition, the Indian National Congress, and a host of regional parties to maintain its primacy. The BJP swept to power in 2014 with promises of jobs and economic growth under the slogan “Sabka Saath, Sabka Vikas” (“All Together, Development for All”). About 1 million job-seekers will enter the labour force in India every month for the next three decades. Roughly 85% of India’s workforce is in the so-called unorganized sector, the traditional activities of agricultural and informal manual jobs. Productivity and pay is chronically low. In the organized sector, pay and productivity are significantly better, but jobs are scarce and have decreased in number since 2014. The result is huge inequality: those in the organized sector enjoy a comparatively good standard of living whereas those in the unorganized sector face some of the worst living conditions in the world. So much of the next election will be about which party can offer the best economic prospects to the whole of Indian society, especially the poorest citizens. India’s growth rate over the last 30 years has been among the top 12 countries in the world. But even an average rate of 6.6% since 2014 — a figure that most Western economies view with envy — is a disappointment for India. The divide within Indian society has widened. Although average income per capita has risen by a third, the income of low-skilled workers has fallen by 22%. Signature initiatives by the Indian Government have not always helped. The move in 2017 to take 86% of India’s currency from circulation was intended to reduce the size of the black economy, but he Central Bank suggests this exercise destroy only £1bn of illegal money against the government’s hope of £329bn. The country’s poorest were hit the hardest, as they are most dependent on cash receipts. Many commentators view the general election as a sum of outcomes in India’s 29 States and 7 Union Territories. 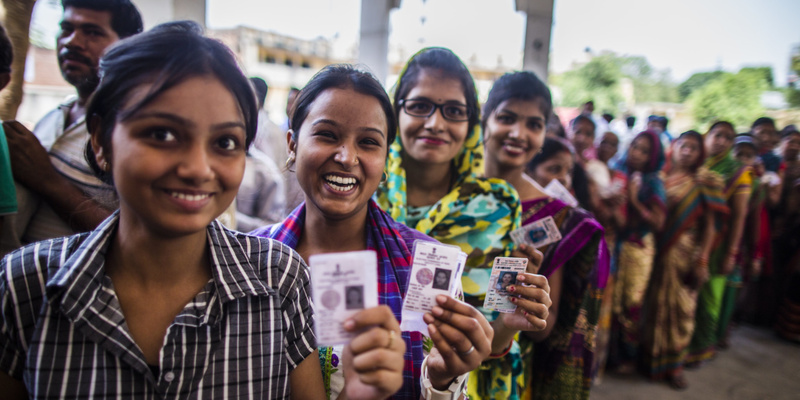 India follows a first-past-the-post election system, where a candidate is elected from a constituency if they receive the highest number of votes. The system gives considerable power to regional parties with solid strength in their geographical bases, with disproportionate influence on the overall outcome. In the 2014 general election, Congress won 44 seats with a 19% vote share, whereas a regional party in Southern India, the All India Anna Dravida Munnetra Kazhagam obtained 37 with just 3.3% share. Hence alliances with regional parties are critical over who forms the government. The BJP is building its campaign around the theme “Modi Versus All”, promising strong leadership and avoiding anarchy if re-elected. It is highlighting social welfare schemes such as the measures to curb black money; steps to check inflation; free medical insurance up to £5,500 per year for the poor; reservations for economically-backward sections of society; free cooking gas for poor households; a hike in state-procured prices of basic crops from farmers; and electricity to all villages. The opposition are highlighting rising unemployment, agricultural distress, and BJP policies that have crippled the economy. It has also attacked the government over allegations of corruption and cronyism in a €7.87 billion defence contract to procure fighter jets from France. The opposition gained momentum in November when removing the BJP from power in the state elections of Rajasthan, Chhattisgarh, and Madhya Pradesh. But while it talks about a united front, there is no clear decision on who will lead the battle against BJP-led NDA. And the suicide attack in Indian-administered Kashmir, which killed 40 Indian soldiers, followed by India’s airstrikes against military camps inside Pakistan, seems to have tilted the equation in BJP’s favour. Since this incident with Modi’s approval ratings and popularity soaring. Given the complex electoral landscape, it is uncertain whether nationalism will dominate issues like unemployment in a long election. And another distinctive feature: for the first time, more women are likely to vote than men. Given that one in every five seats is won or lost by a margin of fewer than 38,000 votes, this could be decisive role in the selection of the next Prime Minister of India. 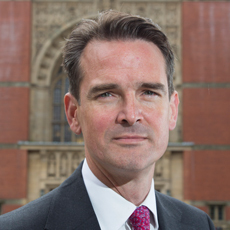 Robin Mason is Pro-Vice Chancellor (International) and Professor of Economics at the University of Birmingham.